MoMA PS1 in Long Island City has reached a settlement with curator Nikki Columbus, who accused the museum of discrimination after it allegedly rescinded a job offer when it learned she recently had a baby, the New York Times reports. 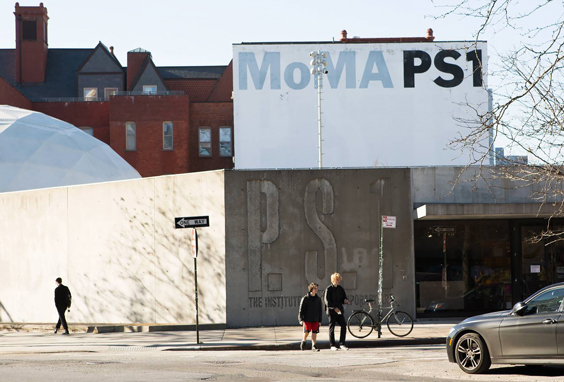 While the financial terms of the settlement were not disclosed, MoMA PS1 has agreed to revise its policies on anti-discrimination protections for parents and other caregivers. Columbus, the former executive editor of Parkett magazine, was recruited for the curator of performance position by the museum’s chief curator, Peter Eleey, in April 2017she was five months pregnant at the time. After several interviews and months of meetings and conversations, she was offered the job on August 12 and was planning to begin her tenure at the institution in September. Since she was still finishing up work at Parkett, which ended its print run that same year, she had discussed working part-time for a while before assuming her full responsibilities. However, shortly after notifying the museum that she had given birth to her son, Columbus was trying to finalize her salary and schedule for the post when she received an email from Jose A. Ortiz, MoMA PS1’s chief operating officer, that said the museum was unable to tailor the position to the terms she had proposed. The curator said that she had asked to work from home at first while she recovered from giving birth but did not request maternity leave. Columbus named Ortiz, Eleey, and former PS1 director Klaus Biesenbachwho now heads the Museum of Contemporary Art, Los Angelesin the gender, pregnancy, and caregiver discrimination lawsuit she later filed in July 2018.